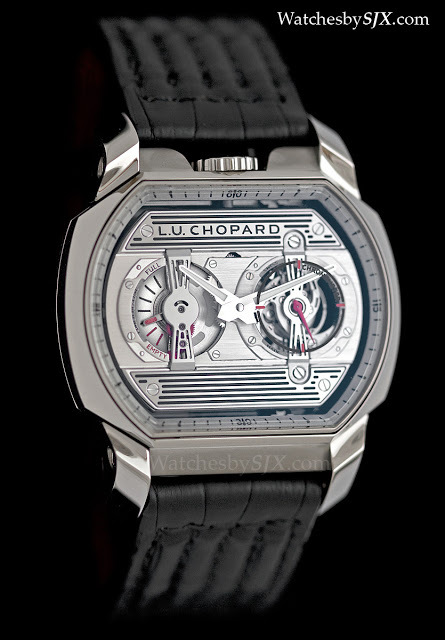 Just unveiled at Baselworld 2013, the Chopard LUC Engine One H tourbillon is inspired by automobiles, and undoubtedly the coolest LUC watch ever. 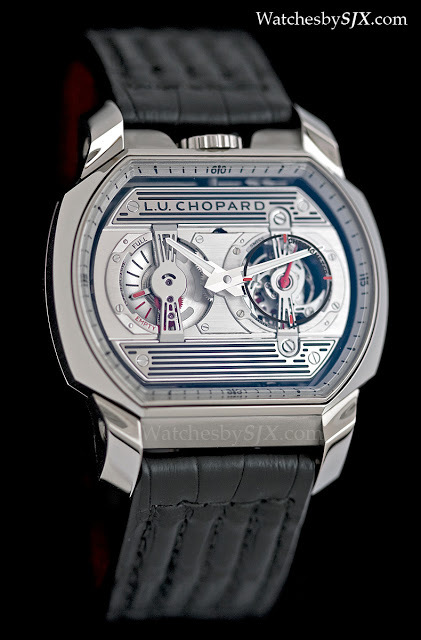 Cool is an adjective rarely applied to Chopard LUC watches. They are typically fine, well-finished, and often staid, even boring. 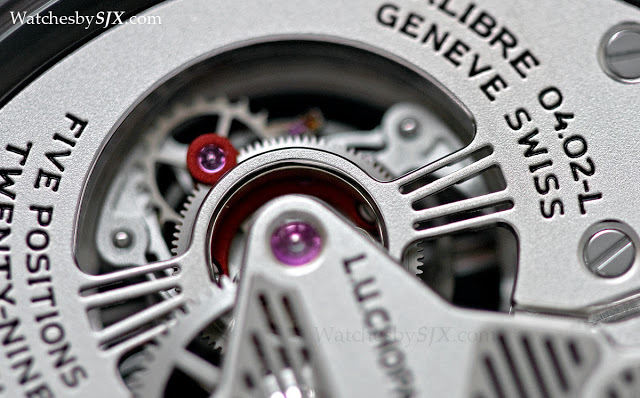 The LUC Engine One H tourbillon is a striking departure from the norm and it thoroughly deserves the title. 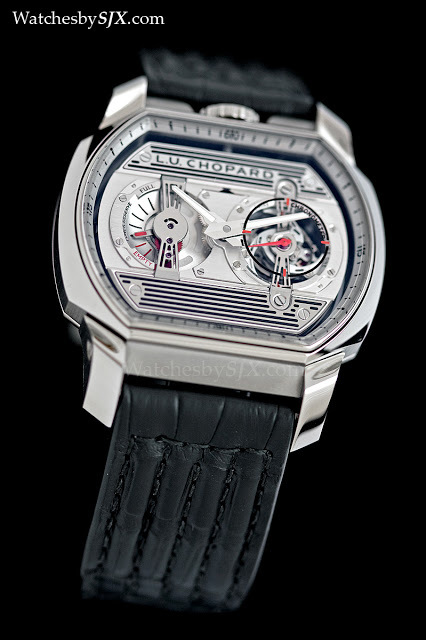 Two years ago Chopard tried its hand at a cool, car-inspired watch, resulting in the Engine One. 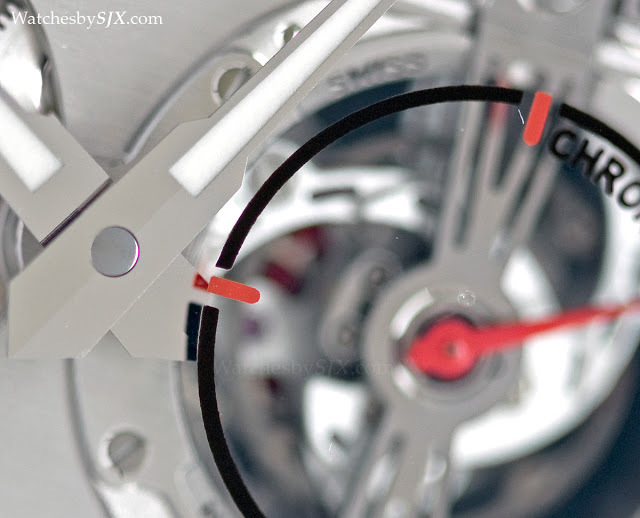 Fortunately, Chopard tried once again, and this time they succeeded. 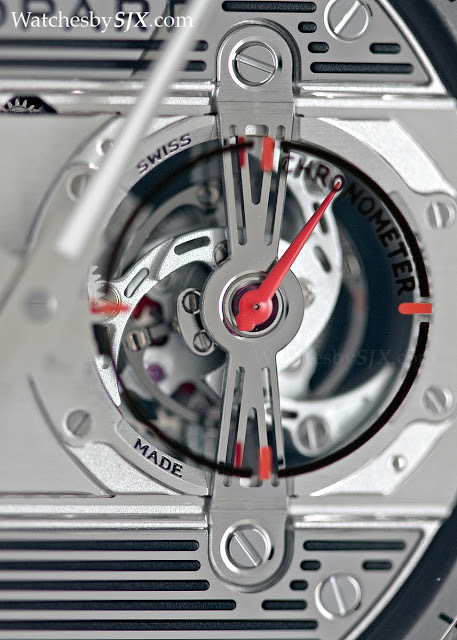 The Engine One H uses the same movement as its predecessor, but rotated counter-clockwise. 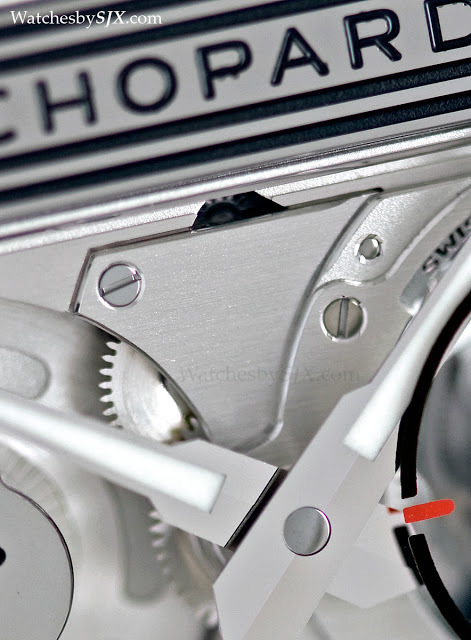 This gives the Engine One H is a more distinctive character, as well as greater wrist presence. 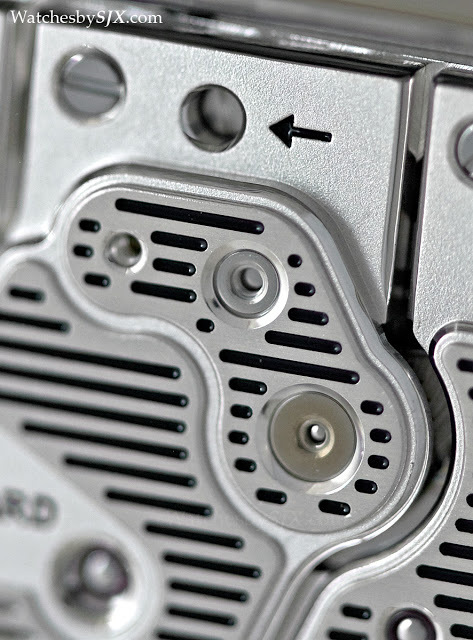 The titanium case is also well made and finished. 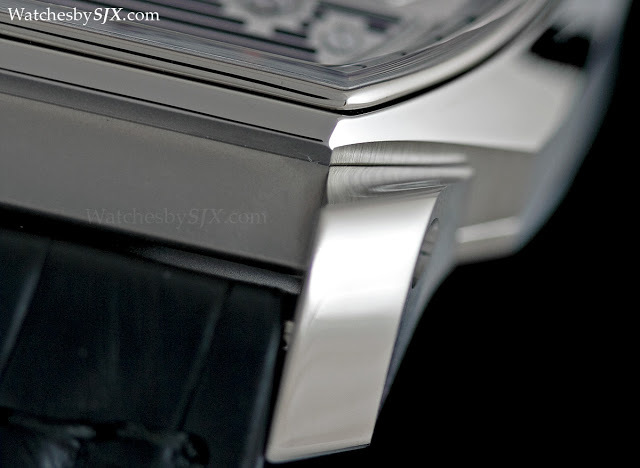 Chopard has done justice to a relatively complex case, especially with the curve of the lugs. 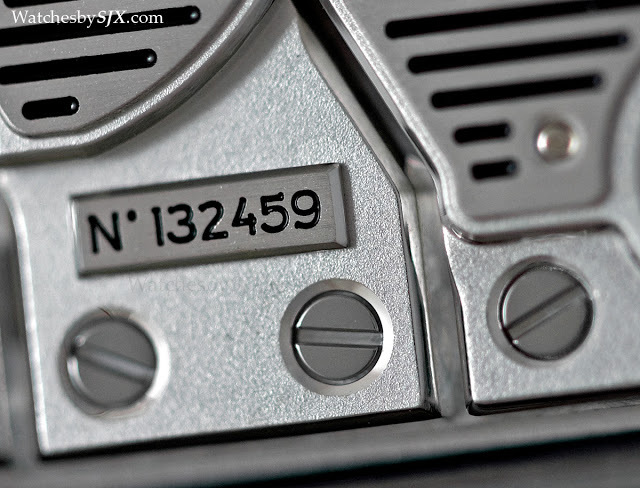 Though the Engine One H is not extremely large, measuring a moderate 44.5 mm wide and 35 mm long, the thick, sculpted lugs give it a sense of purpose. 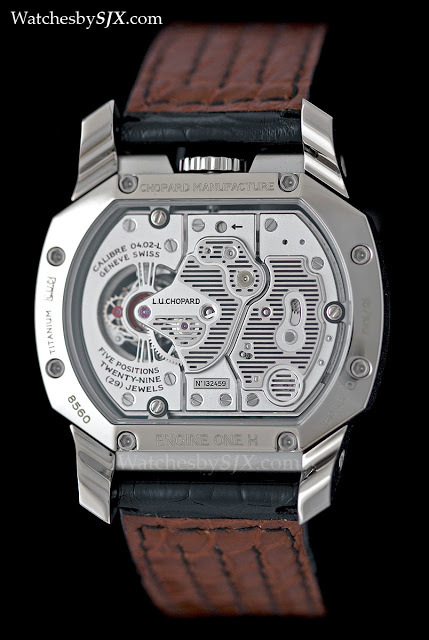 And because the watch is in titanium, it is lightweight and comfortable. The tourbillon sits at three o’clock and uses Chopard’s in-house Variner (VARiable INErtia) balance wheel with adjustable weights. Across at nine o’clock is the power reserve indicator, styled like a fuel indicator on a dashboard, reading “Full” and “Empty”. 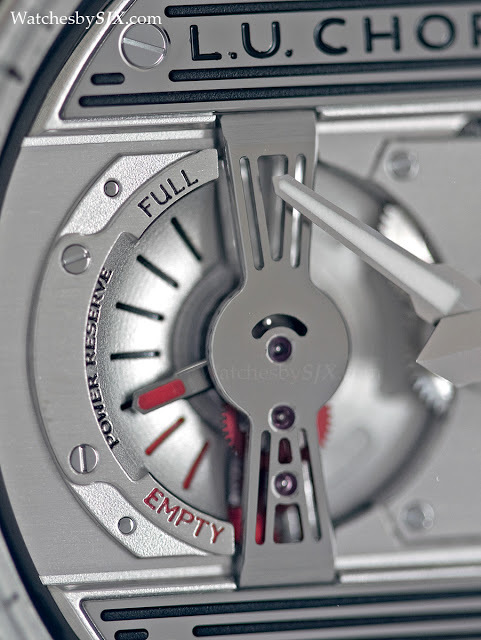 The power reserve display is concave, which together with the aperture for the tourbillon, gives the dial depth. 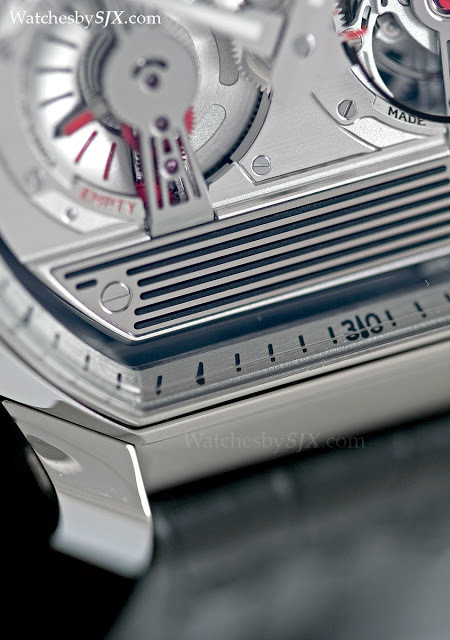 Because of the automotive theme of the watch, the movement is suspended in the case by three struts, which from some angles leaves it seemingly floating inside the case. 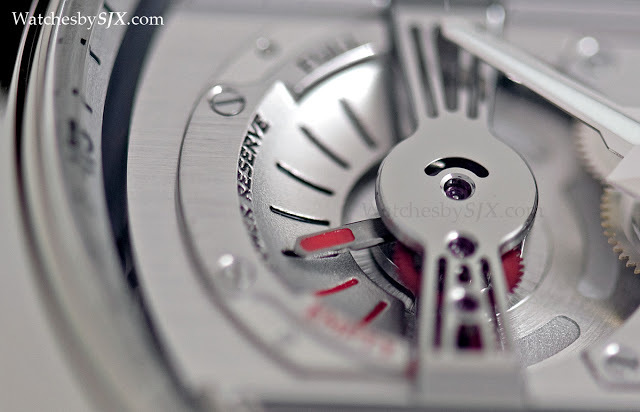 This is more evident from the back, where the three supports holding the movement are visible, and the gap between the movement and case is apparent. 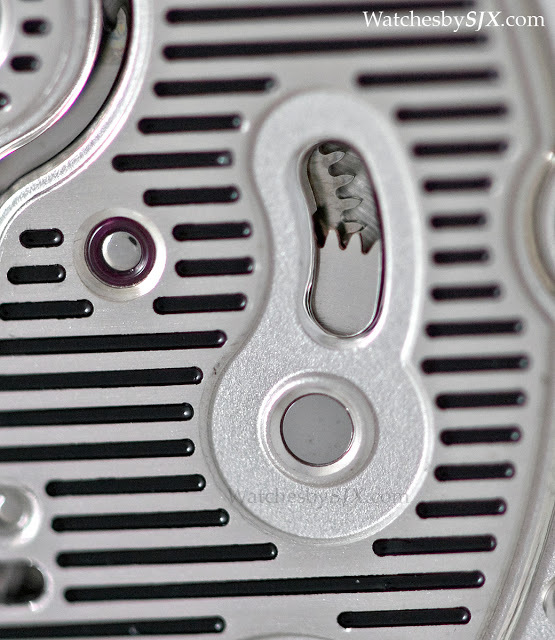 Continuing the automotive theme the movement, front and back, is decorated with black lacquer filled horizontal grooves, inspired by cylinder heads. 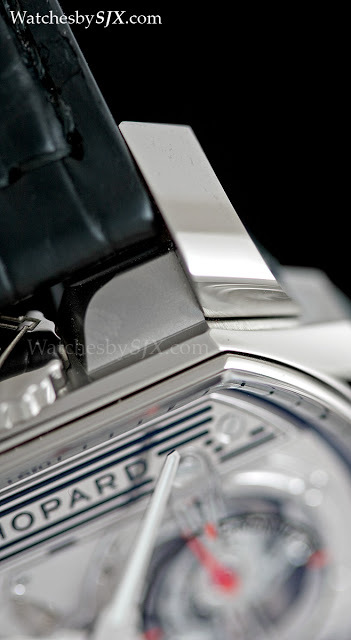 While the lacquer filling on the horizontal grooves is neatly done, the same cannot be said for the filling on the Chopard logo running across the front of the watch. 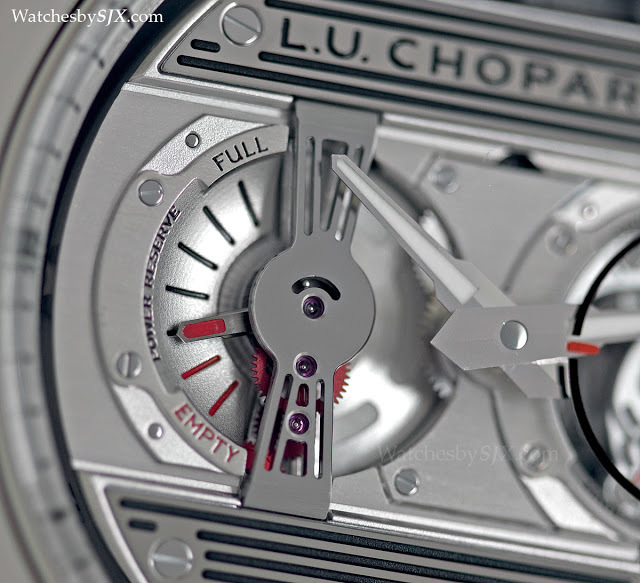 Notably, the movement finishing is good, but inconsistent, which is unusual for a Chopard LUC watch, which typically demonstrate exemplary finishing. For example, the bridges visible from the back have well bevelled edges – polished and rounded as they should be – but the raised and grooved portions of the bridges are less carefully finished. But overall this still earns high marks for its fit and finish.